When your system has become infected with a virus or other malicious software, it’s important to get professional help quickly. Allowing malicious programs to continue to operate on your computer can have a number of serious consequences, such as your IP address being used to commit crimes online or a whole host of secondary infections. Hackers, scam artists, and others are constantly creating new and more tenacious programs designed to infect your system, and it’s a constant battle for computer repair technicians just to keep up. Unfortunately, trying to clean up a virus infection on your own is next to impossible. Modern computer viruses are adept at avoiding detection even by careful users, and often can easily avoid off-the-shelf anti-virus and spyware programs once properly insinuated into your computer. PleaseJustFixIT techs are armed with experience, advanced tools, and expert advice from the major spyware and virus labs to keep on top of even the newest and most stubborn computer viruses and malware. Expert virus and malware removal isn’t just about getting rid of the program, however. 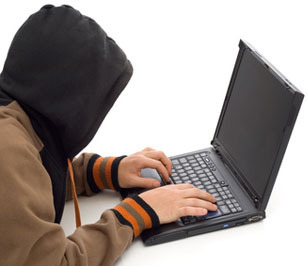 Many viruses will install pieces of their programming throughout your computer, so that even if one piece is located and deleted, the other parts will still be lurking and able to download the rest of the code as soon as your computer reconnects to the internet. Proper cleanup includes making sure that the viruses don’t return. In addition to a thorough cleanup process that checks for these tricks, our techs can also help you choose the best anti-virus and anti-spyware software to meet your needs and your budget. Check out our blog post on viruses to learn more about the neverending battle against malicious software. Installing good anti-virus software is a start, but there’s a lot more to keeping your hardware safe than just installing a program. Many viruses and spyware are programs that users intentionally install on their systems, not knowing the dangers associated. PleaseJustFixIT techs can help you learn safe browsing habits, which will keep you away from many of the spawning grounds for viruses in the first place. We can also help configure your anti-virus, anti-spyware and other software to make sure that bad programs get isolated and destroyed while beneficial ones are allowed to operate.